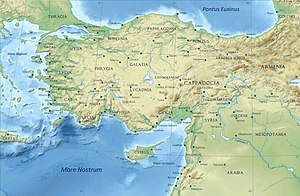 Asia Minor/ Anatolia in the Greco-Roman period. 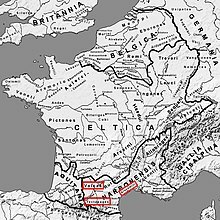 The classical regions and their main settlements, including Galatia. This page is based on the Wikipedia article Galatia; it is used under the Creative Commons Attribution-ShareAlike 3.0 Unported License (CC-BY-SA). You may redistribute it, verbatim or modified, providing that you comply with the terms of the CC-BY-SA.